Home Choice Who’s Controlling Your Remote? One of the most maddening experiences in life is trying to watch TV when somebody else has the remote. You just start to focus on a channel and “BAM,” you’re looking at something different. Focus again, “BAM,” away we go to another show. It feels unpredictable . . . aimless . . . infuriating. . .
Life can often feel the same way sometimes. We think we’re doing okay. We think we’re successful. We think we can focus on this path and we’ll just be happy and “BAM,” something or somebody makes us doubt what we think we know, and maybe even who we think we are and can be. What’s going on? How did this happen? How do we fix it? In other words, what we’re feeling and looking at on the outside isn’t in sync with who we believe we are and should be on the inside. It’s as if something outside of us has control of our own personal internal remote, our sense of our self and who we are, and keeps shifting it without our say so. Ask these 2 questions if the channels start spinning. Who picked these channels? Where do/did your ideas of what success, happiness, and fulfillment look like come from? Are they ones you designed for yourself consciously, or were they given to you by family, society, friends, or the culture you cone from? Are these the channels you truly want? Even if they worked perfectly in the past, do they still fit who you are now, or do you need to set your own remote for a channel that suits you better? We can often bind ourselves very strongly to other peoples beliefs or whims, sometimes without knowing it’s happening. Even if it feels like someone handed you a compass and told you the needle always points North, the first rule of designing your life is the only way to find out something for sure is to check it out for yourself!!!!!!! So when you feel uncertain about things in life, ask yourself if you have control over your remote or if somebody else is dialing up the channels. 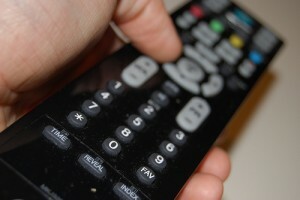 If you need help reprogramming your remote to channels you choose for yourself, give me a call. I’ve spent a lot of time reprogramming my own remote. I can help you get control of yours.